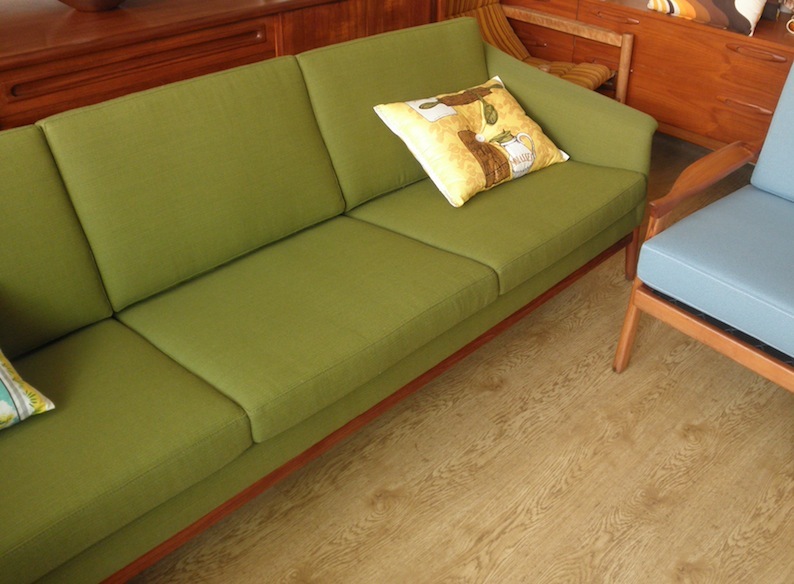 This stunning mid century Danish style couch has been fully re upholstered by our master upholsterer in an original 1960s Danish commercial quality green wool. 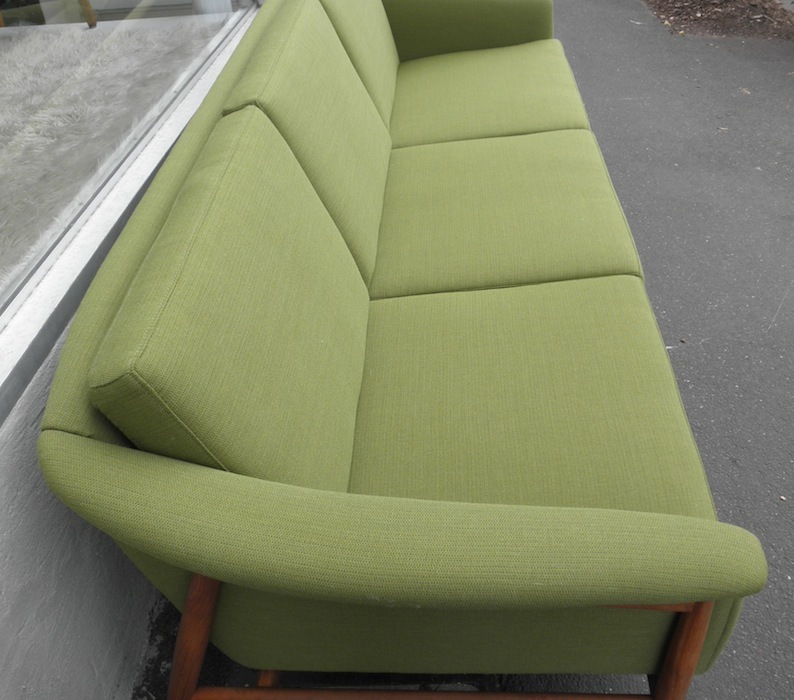 The fabric is from an original bolt of vintage fabric and is similar to Kvadrat wools which retail for hundred of dollars per meter (there is approximately 10 meters used on this couch). The classic curvaceous shell is suspended on a teak frame. These quality pieces rarely change hands due to their incredible build quality and comfort. This is one to hand down to the grand kids. 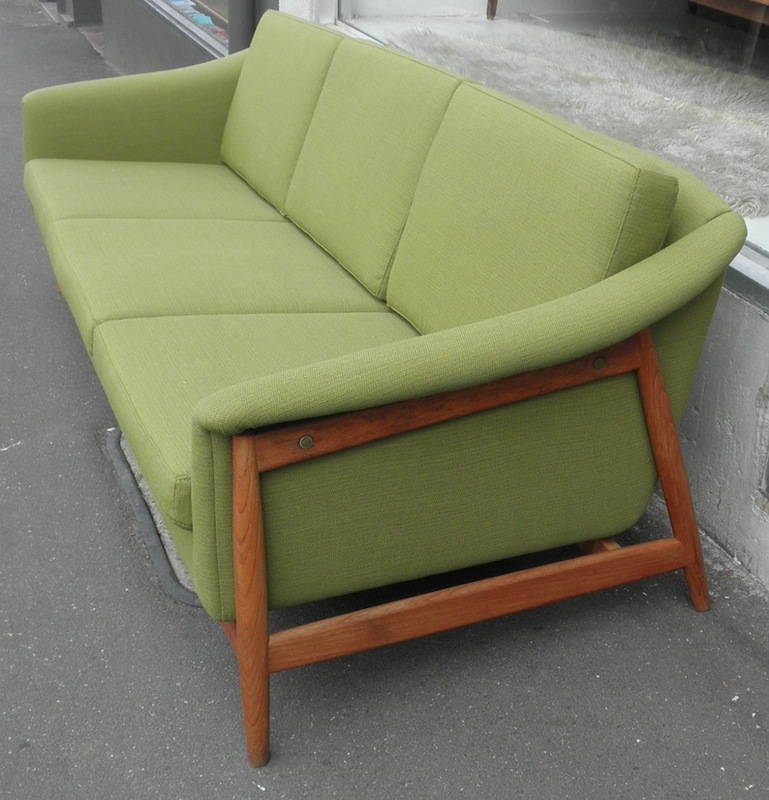 It is extra long and would sit four comfortably.